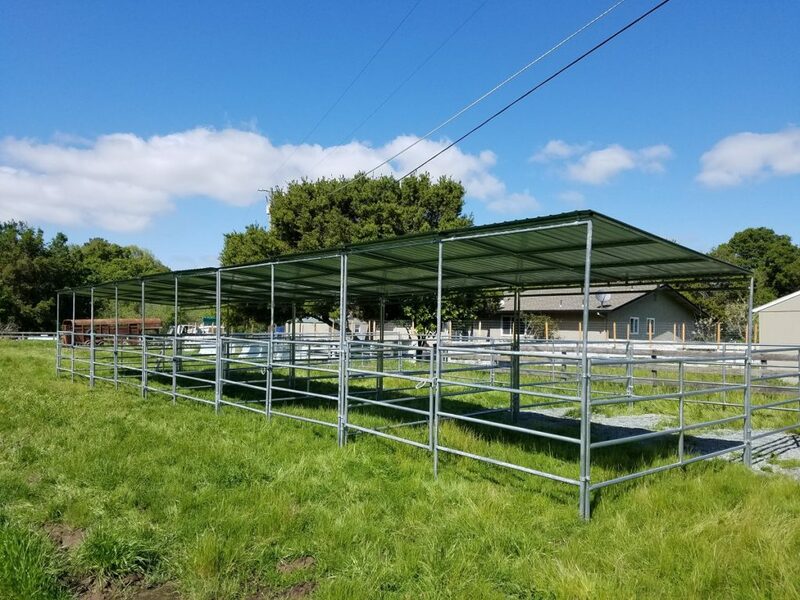 Fox Equine Barns was founded in 2015 when our horse rescue, Fox Equine Rescue, moved and needed fencing and shelters for our 15 rescue horses. 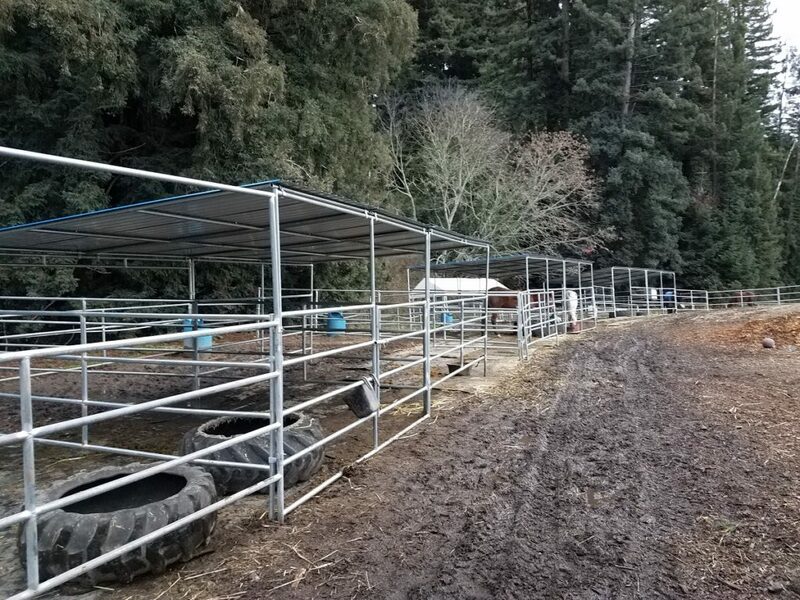 We couldn’t afford to purchase with the expensive prices in the greater SF Bay Area so we started a business to manufacture and sell horse shelters, barns, corral panels, round pens, and gates, at first just for us an other local rescues and friends, but then it kept growing and we started selling to the public. The profits for Fox Equine Barns go directly to support Fox Equine Rescue, a 501c3 California Registered Nonprofit. All of the horse panel tubing is heavy 16 gauge galvanized 1 5/8″ tubing with welds 360 degree around so they won’t rust or bend easily like other cheaper thinner panels. 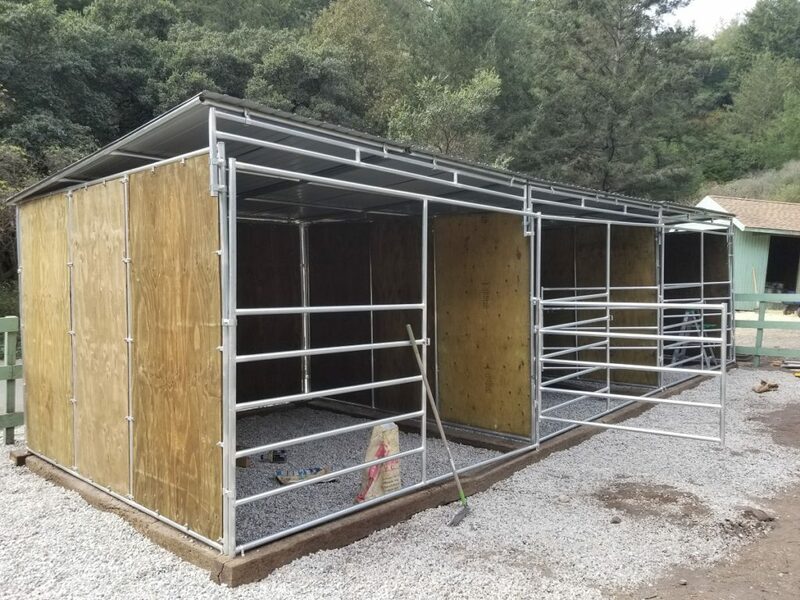 All panels include clamps, all shelters (except for extra tall shelters) are 8 feet on the front and slope to 7 feet in the back and include the roof & 3 sides of either 4 rail or plywood ready. You can customize them, add gates, and make shed row or breezeway barns. The shelters are completely modular so you can rearrange them or move them, add on or seperate them. Now offering 3 roof options! Choose from our standard 12×13 roof (listed price), a standard 15×15 roof, or a modular 12×15 roof. Contact us for more details and pricing. Listed price is 40 foot round pen with gate, any size is available as well as adding anchor posts or setting up as a paddock, contact us for a quote.